With only a few months of trading behind them, New Zealand start-up company Swift Hire is feeling very confident about their future prospects. 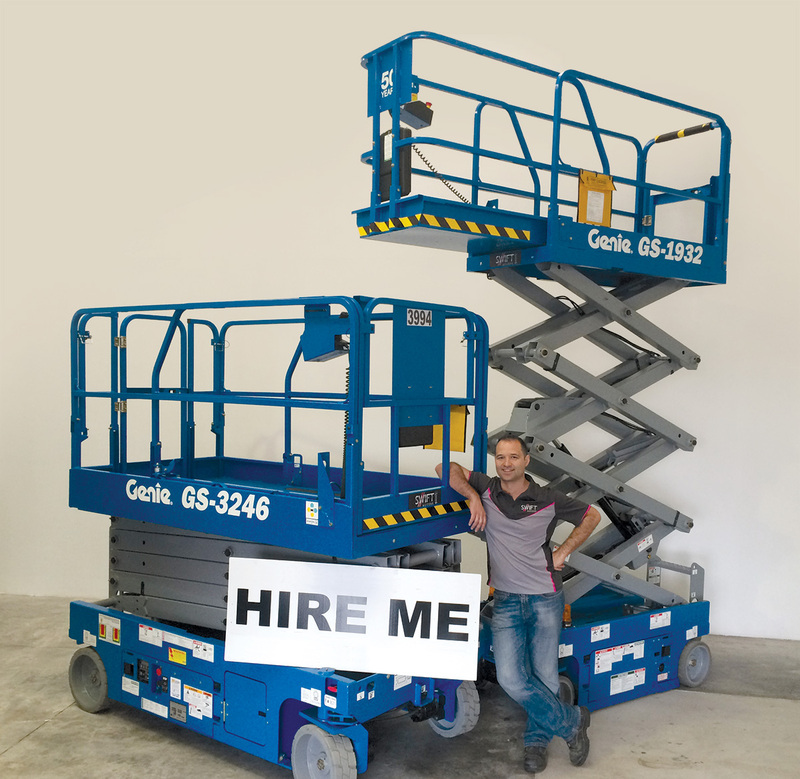 Based in an industrial area south of Auckland the company, Swift Hire, with its fleet of scissor lifts it purchased from Genie distributor, Youngman Richardson & Co Ltd, is already starting to see the value of acquiring good quality equipment from the get go. Youngman Richardson & Co Ltd, the New Zealand distributor for Genie, played a big part in getting the order secured. This result can also be attributed to Youngman Richardson’s reputation and a strong commitment to customer support. Beard and Gregory identified this as a big plus. It also helped that both Swift Hire founders have hire backgrounds and have worked previously with Youngman Richardson. This combination of factors proved enough to seal the deal. Swift Hire is already looking to its future expansion beyond the scissor lifts. According to Beard, market feedback will be important to making those decisions, but it appears likely that Youngman Richardson & Co Ltd and Genie will figure in those plans.